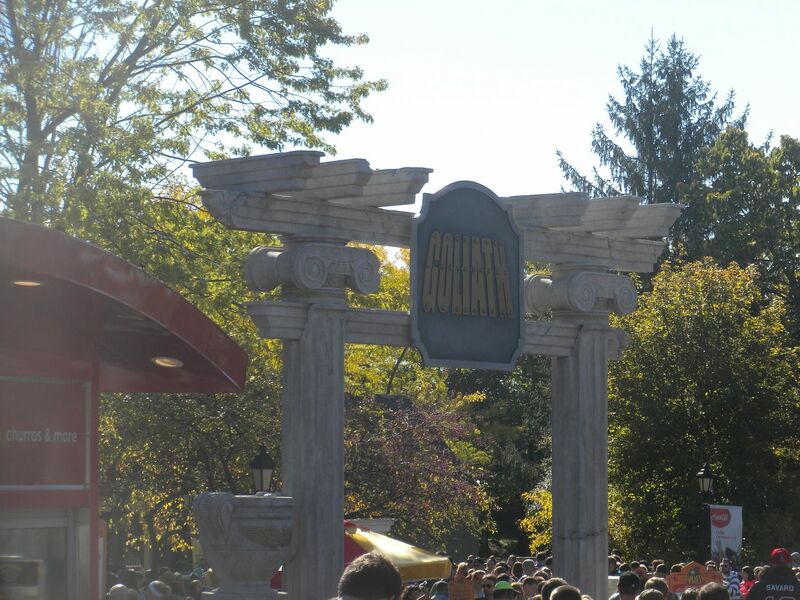 On Sunday, October 12 I arrived at Six Flags Great America just as the park was opening. I would have all day Sunday and a couple of hours on Monday, Columbus Day, before I had to head home. This was one of the few parks that would be open on Columbus Day, and apparently in Illinois school must be out for the holiday. Before I arrived I had learned that Sunday of Columbus Day weekend was particularly busy, but I wasn’t prepared for the level of busyness I found. 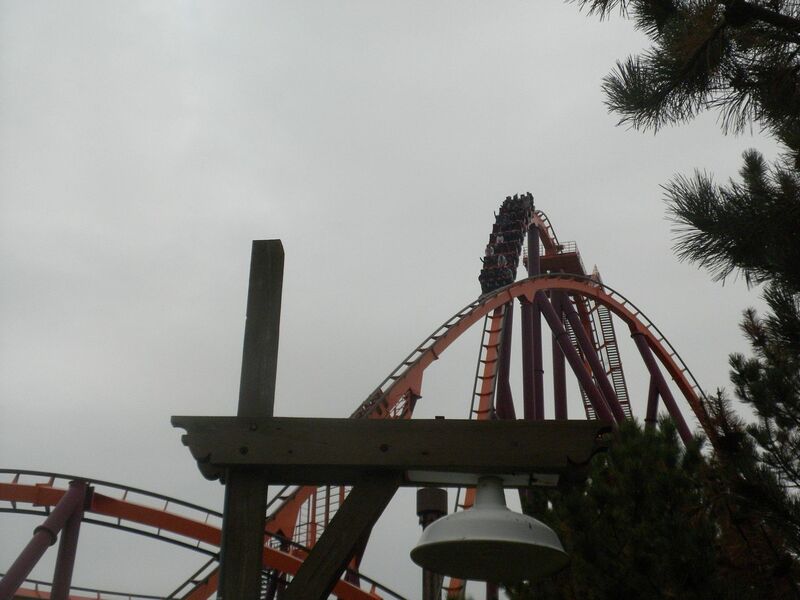 In the first 8.5 hours on Sunday I rode 5 coasters, ate lunch, did 1 haunted house and experienced 2 rain delays. 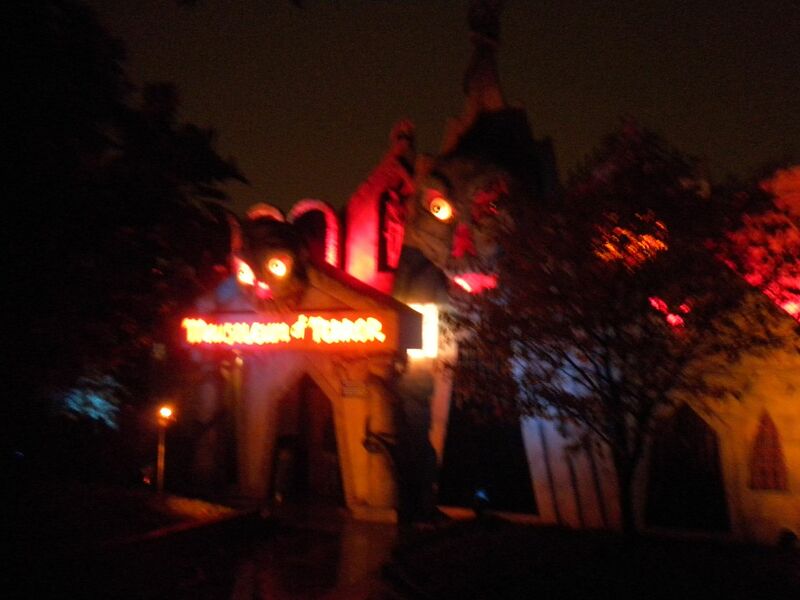 Fortunately in the remaining 3.5 hours I was able to get in 4 coasters and 5 haunted houses. 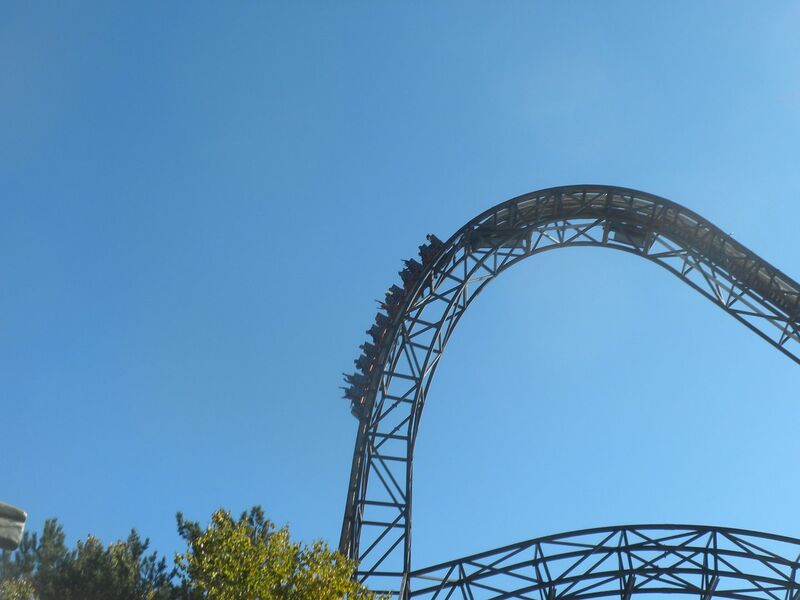 By comparison on Monday in 2 hours I got in 5 rides including 3 on Goliath. If I could have stayed all day Monday I would have gotten everything in, but I didn’t have the time. While I was somewhat disappointed in operations on Sunday, this is a special park to me. 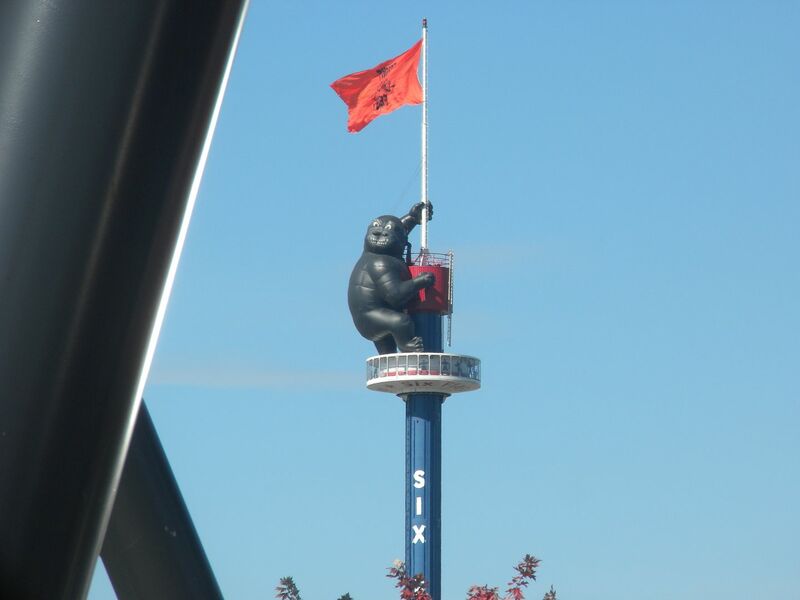 This park, along with Six Flags Over Texas and Six Flags Over Georgia are my three favorite Six Flags parks. I am fascinated with the theming from Marriott, and Six Flags has not only maintained much of that charm including retaining the name of every original section, but also has added Southwest Territory, which ironically, or maybe on purpose, was a completion of an original Marriott plan that was not realized by them. 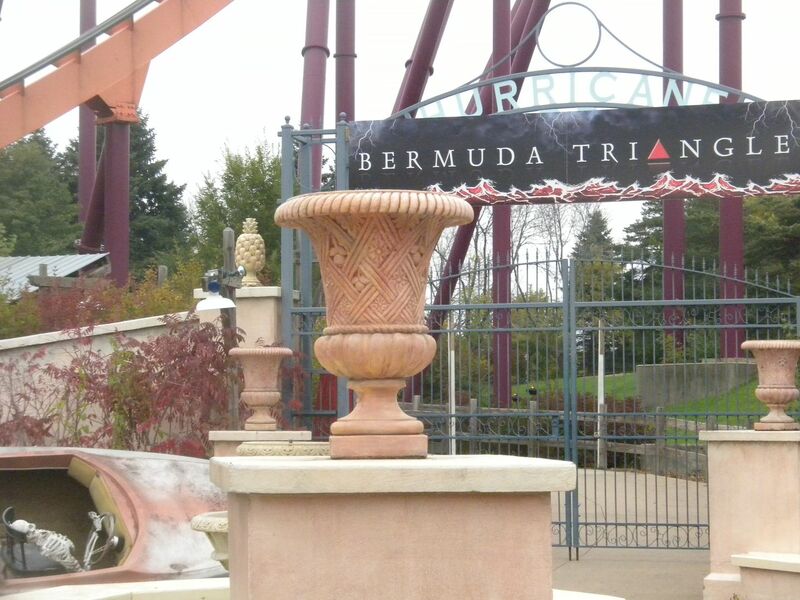 The level of theming in this park is among the very best, perhaps the best in all of Six Flags. Also, having spent several days in the once almost identical sister park in Santa Clara this summer at Coaster Con, I was looking forward to exploring the similarities and differences. Due to crowds, much of that exploration happened as I hurriedly walked from one crowded attraction to the next, but it was neat visiting both parks in the same year. 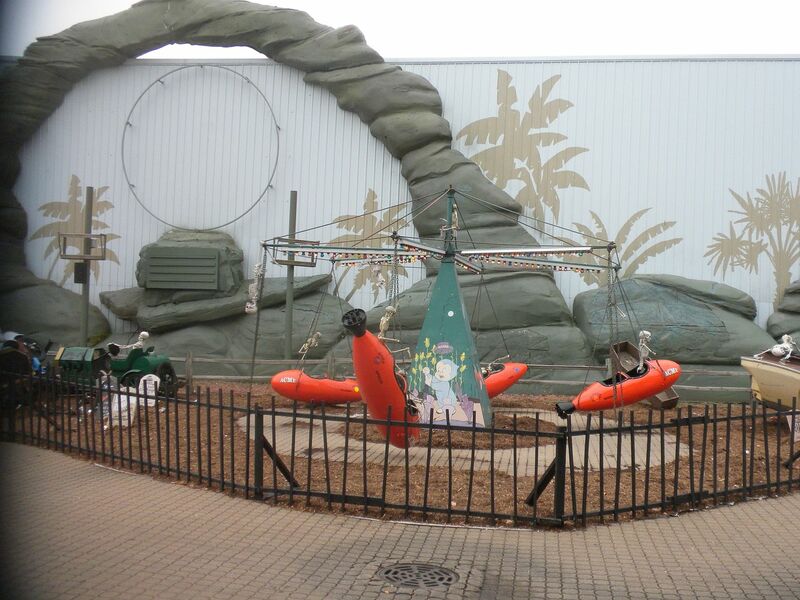 As I have reviewed this park in great detail recently, I will focus on the rides/attractions I did and frame it by the park’s exquisitely themed sections. 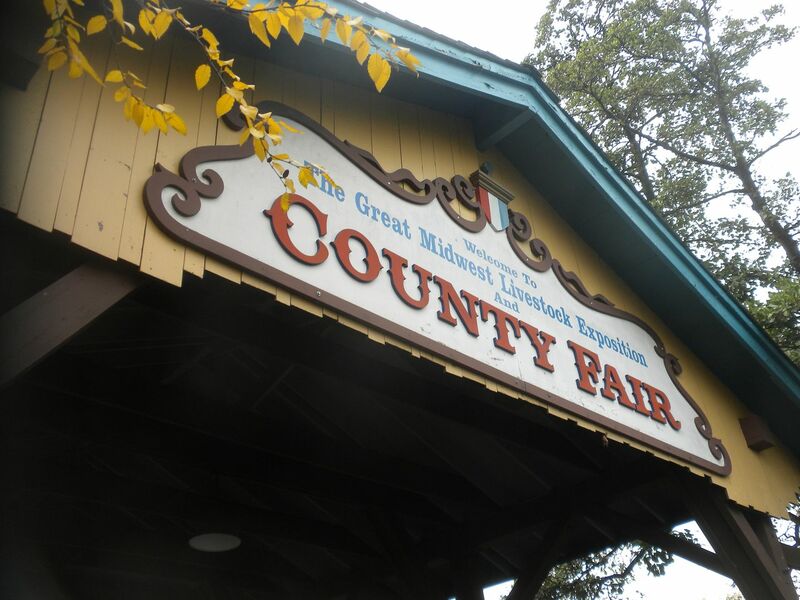 Celebrating the tradition of local fairs, this section has the largest selection of rides, including the park’s 2 newest coasters. In my last report in 2012 I said that “the Iron Wolf (Bollinger & Mabillard, Stand Up, 1990-2011) station [stood] empty, awaiting a future use.” It has that use now, and what a use it is! 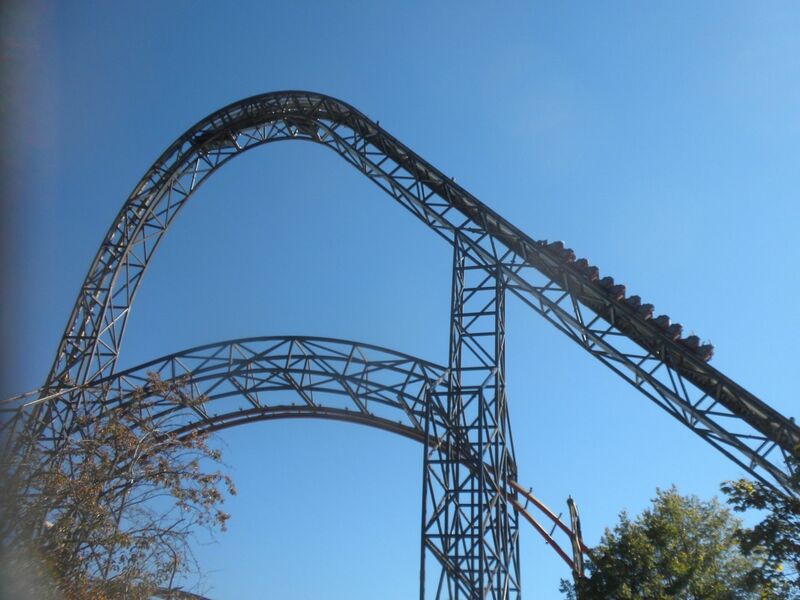 Goliath: (Rocky Mountain Construction, Wood Inverted, 2014) I waited an hour and 45 minutes to ride this and it was well worth it. My first of these coasters, and the reason for my trip, this is an excellent coaster. 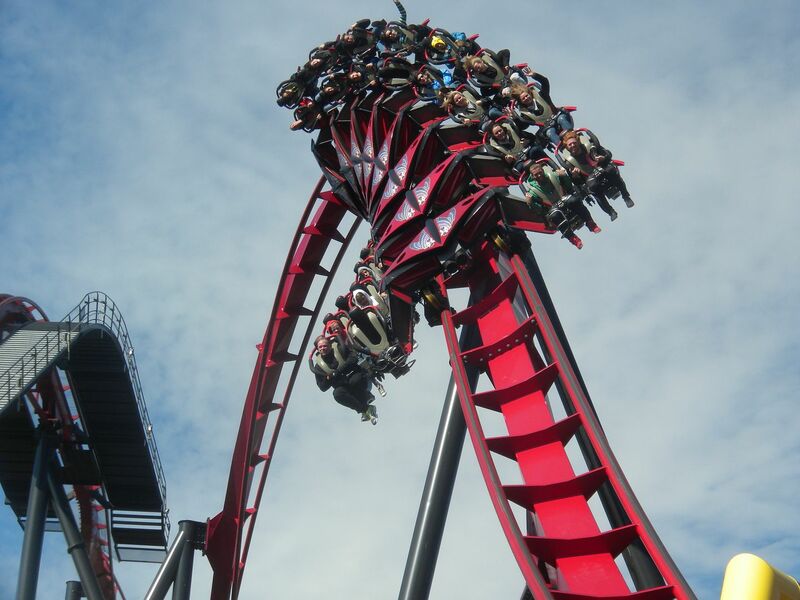 The topper track makes it extremely smooth and the transitions into the 2 inversions are perfectly smooth. the hang time in the inversions is great and head choppers are plentiful. The only negative I would say is that it is relatively short, but to some degree that comes from how good it is, because you just want more. I hope many more of these will be built. 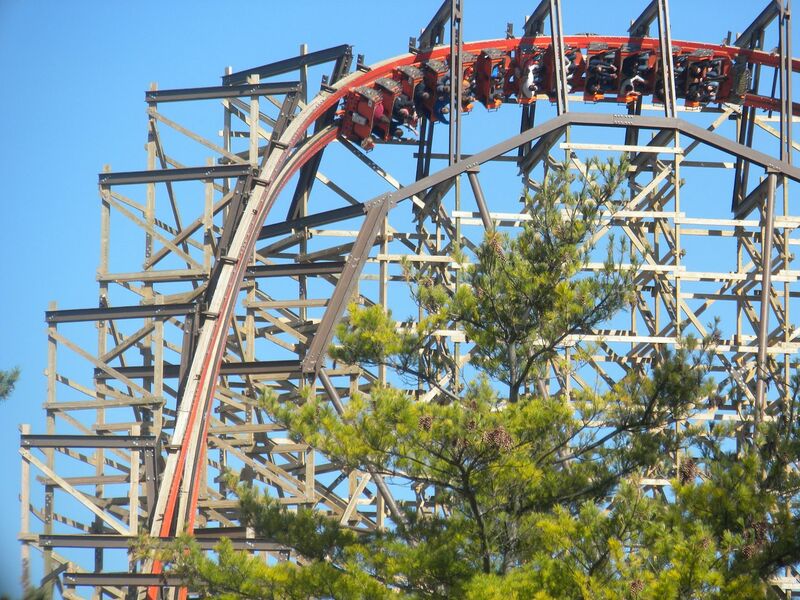 This could truly be the greatest advancement in the wooden roller coaster in many years. They have a single rider line which requires that you wait through the first half of the line, but get to skip the second half. 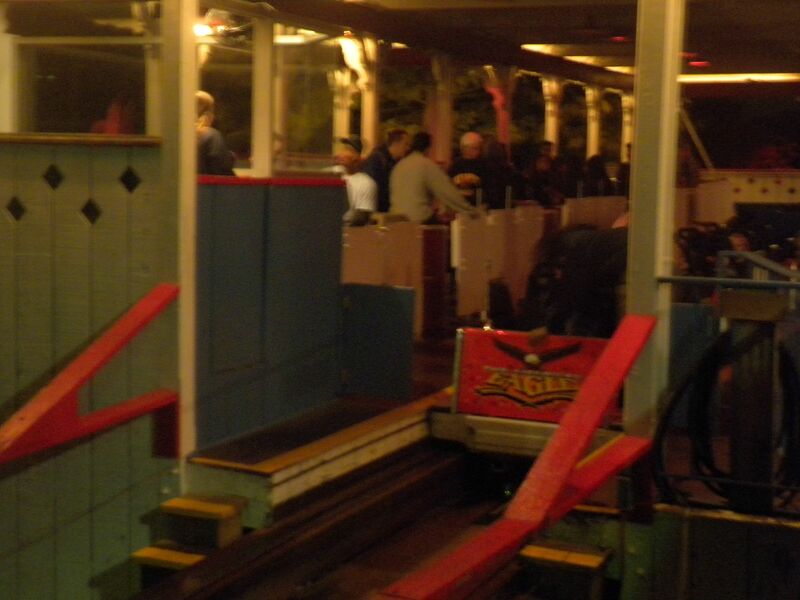 I got one more ride that night using the single rider line with only about a 20 minute wait. 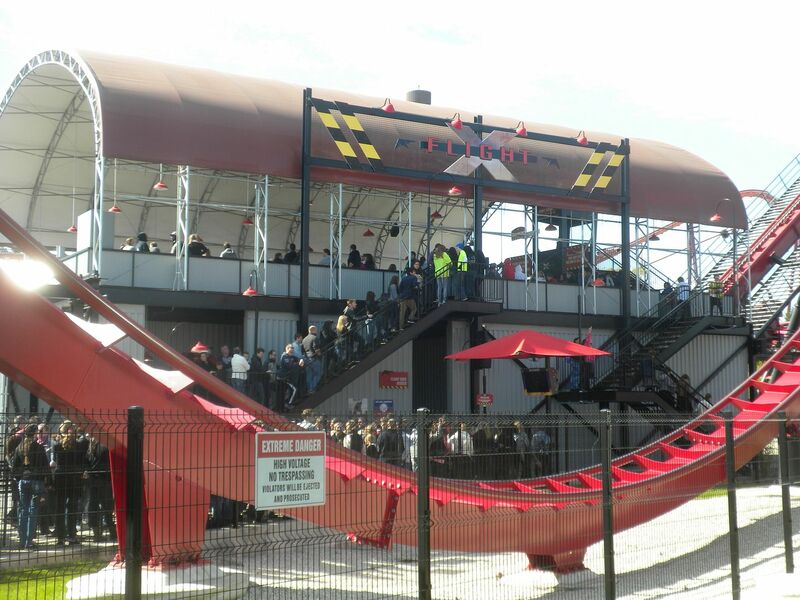 The next morning I learned they let you in the park 30 minutes before opening and you can walk all the way back to Goliath and wait for the ride to open. I got a ride with about a 10 minute wait and 2 more rides using the single rider line in about 30 minutes each – 5 rides. and I love the keyhole effect. The wait was about an hour and 15 minutes – 1 ride. 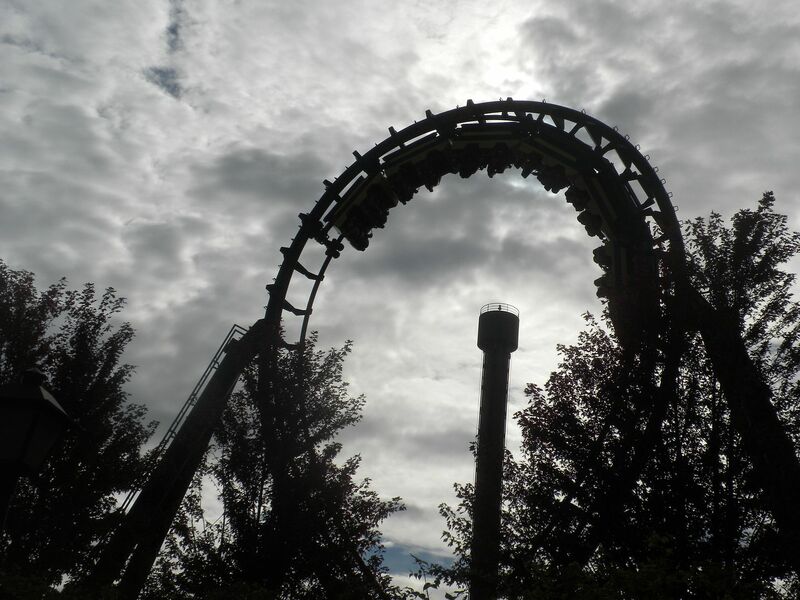 This is one of my favorite Arrow loopers as I like the tunnel and special effects. It gives a very good ride with little jarring and it has good transitions. It seems to have held up somewhat smoother than the one in California. 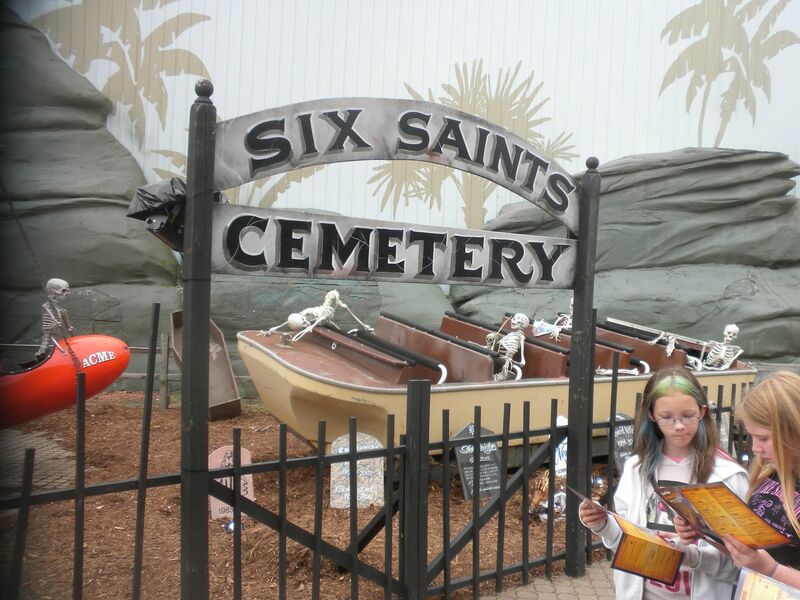 It was about a 30 minute wait in the afternoon – 1 ride. This is a fun ride and it is running pretty well. 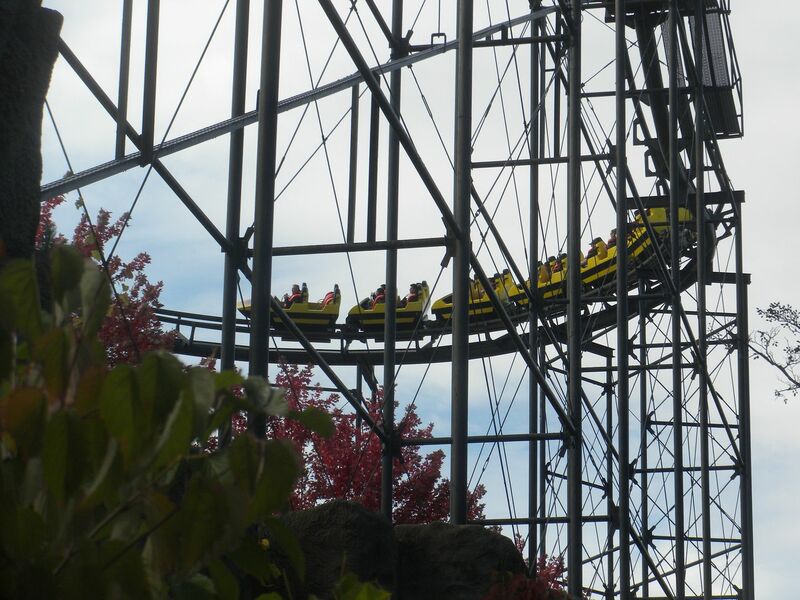 one on each side – 2 rides. 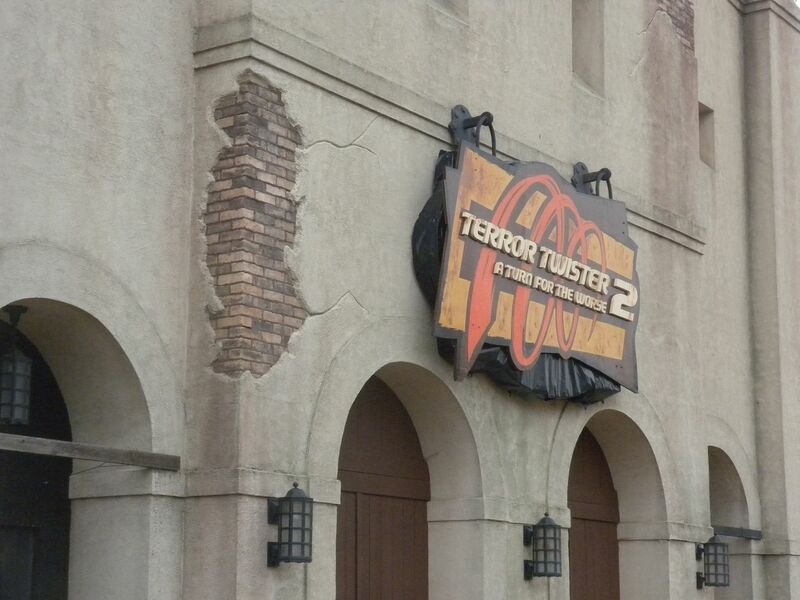 This section was added by Six Flags and the theming is excellent. 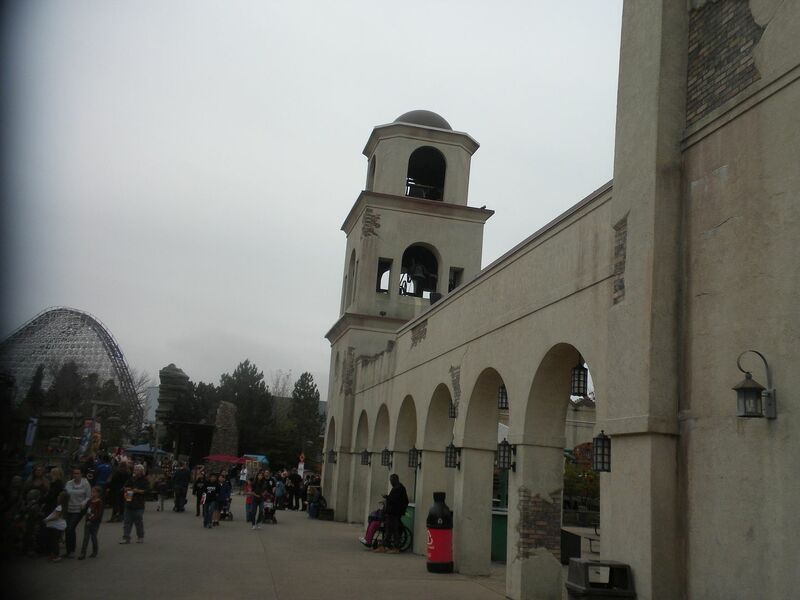 The architecture, the details and the ride names really transport guests to the Southwest. 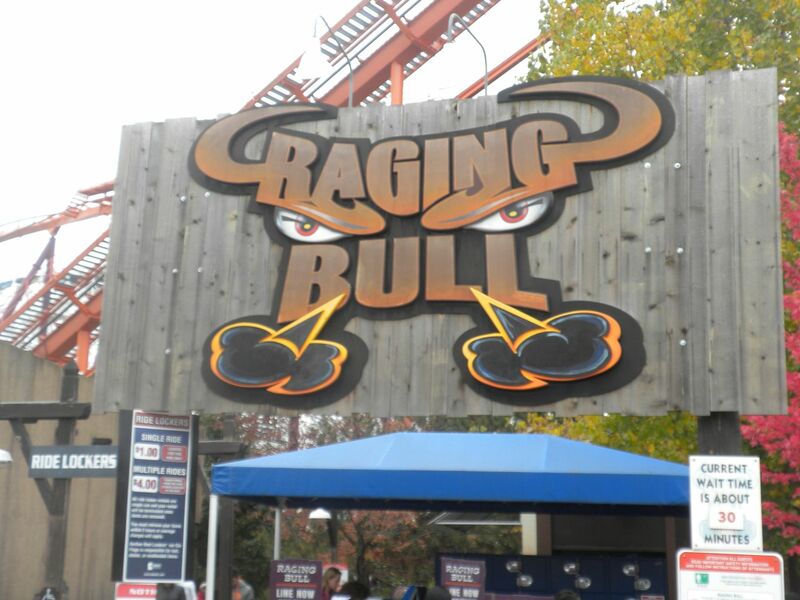 Raging Bull: (Bollinger & Mabillard, Hyper Coaster, 1999) This was my first B&M hyper and I still think it is a great ride. 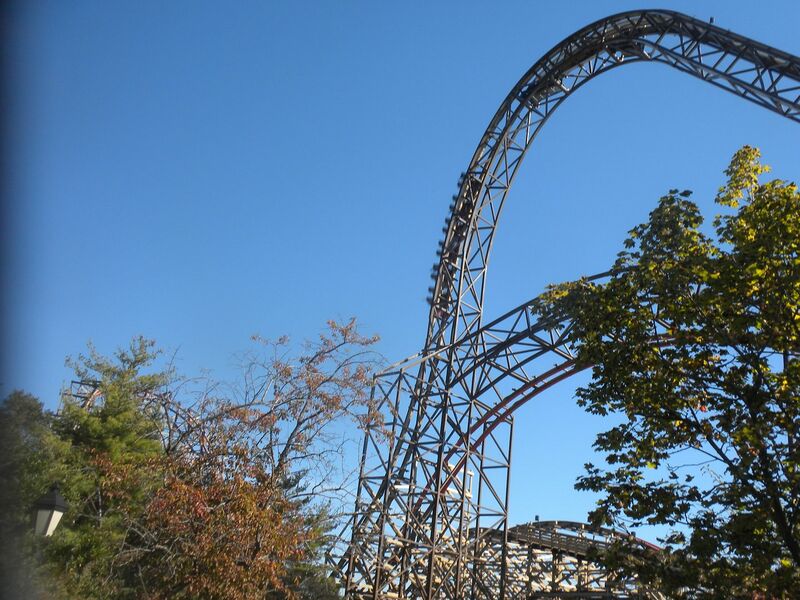 While I like its twister design, the out & back design of other hypers really allow this type of coaster to best provide the speed and airtime that so characterize them. 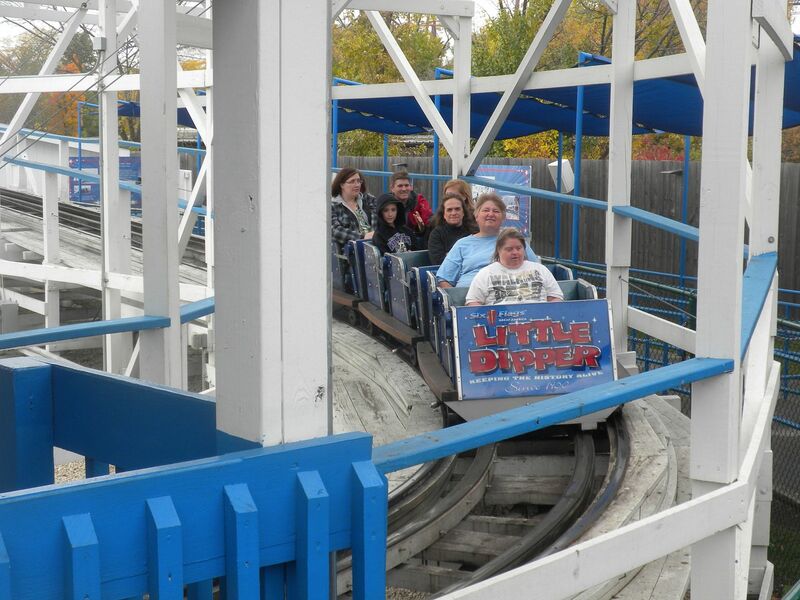 Still this is a solid coaster with great floating airtime, one that I could ride over and over. It was a 2 hour wait and right in the middle of that it rained, delaying operations for 30 minutes. 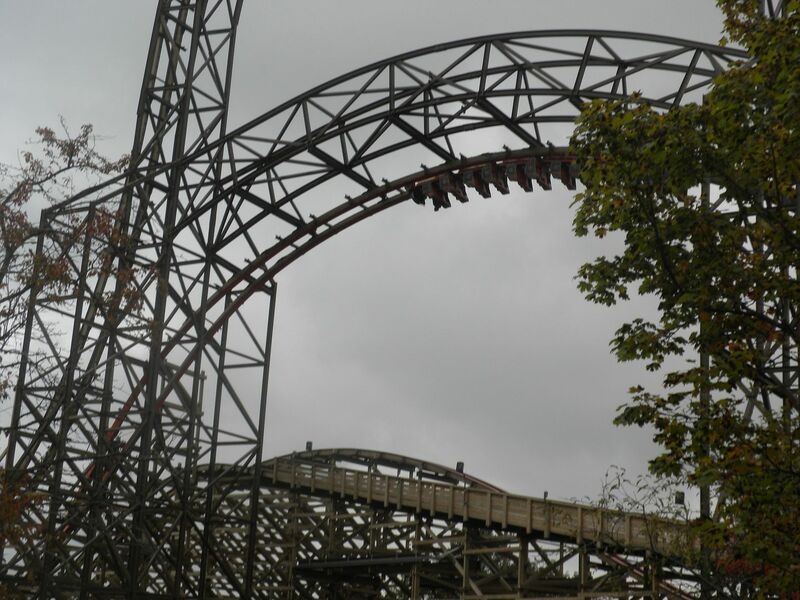 I finally got to ride after 2.5 hours, only minutes before the rain closed the ride down again – 1 ride. 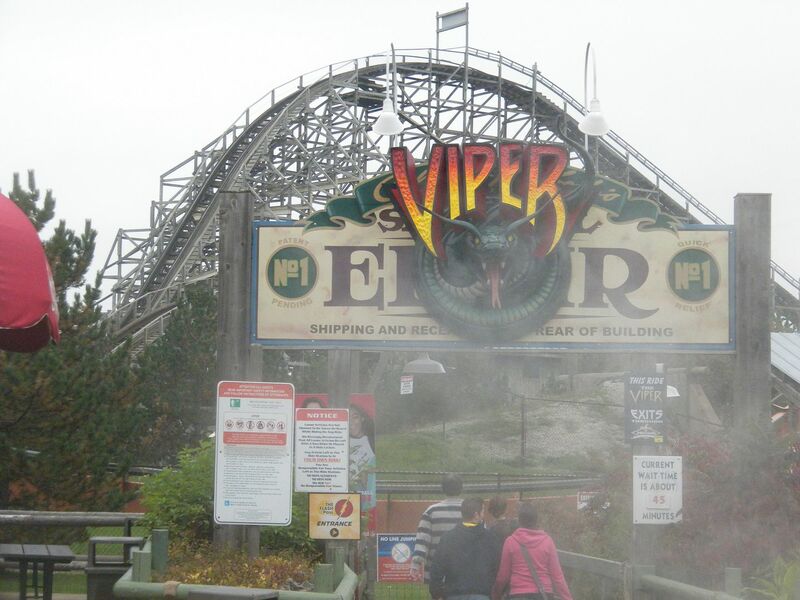 Viper (Snakes on a Train): (SFGAm, Cyclone Wood Twister, 1995) This is an excellent Cyclone clone and it still rides good. 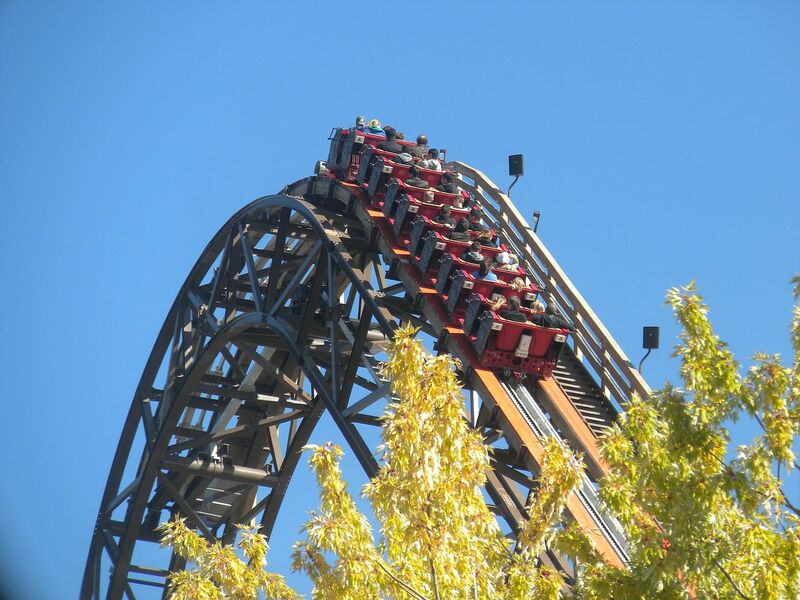 Undoubtedly Six Flags took the 3 such clones they had built and came up with a design that takes the best of each without the problems, coming up with a ride that has aged well. 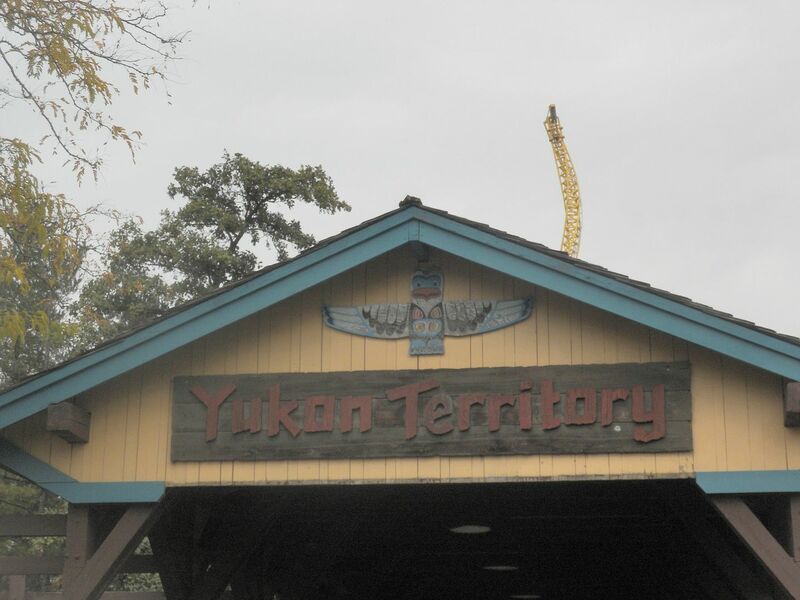 It was about a 45 minute wait – 1 ride. Chubasco (Terror Twister 2): They enclose these spinning teacups and operate them with a great light and music package for Fright Fest. 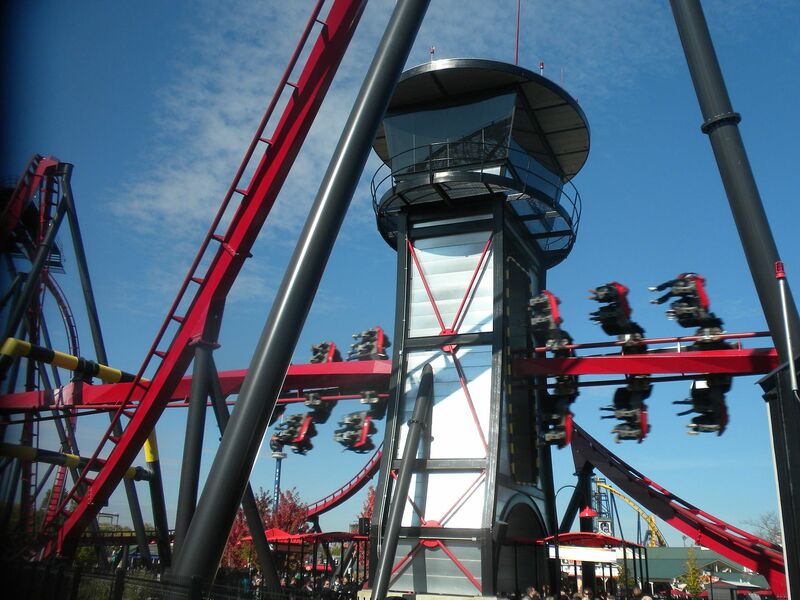 Very good spinning – 1 ride. This section celebrates small town America and is set up around a town square of shops, restaurants, a town hall, a fire station, a train station and a theater. Whizzer (BioHazzard): (Schwarzkopf, Speed Racer, 1976) This is a great ride, both thrilling and fun. There were 4 of these built, all for the U.S., but the only other one still operating is now in Columbia. The nicely landscaped area is part of its charm. I hope it will run for years to come. 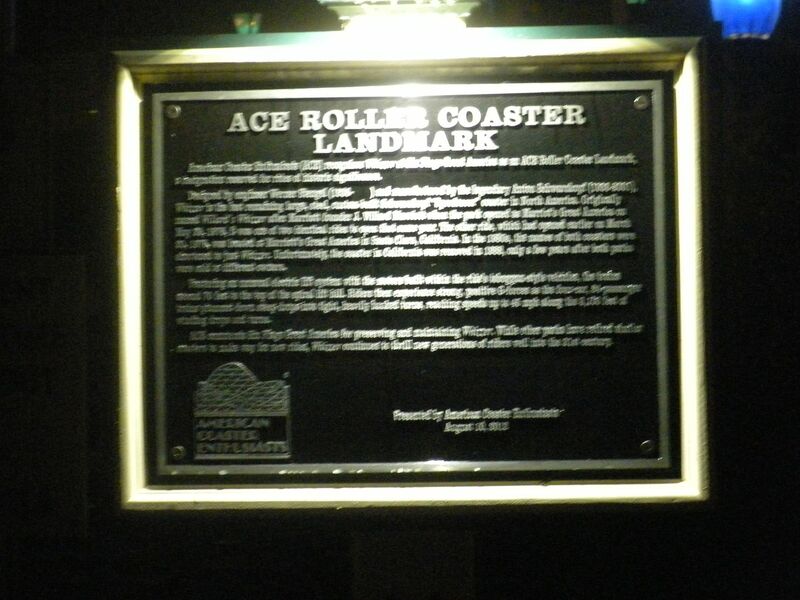 When I was here in 2012 we presented an ACE Roller Coaster Landmark plaque for this coaster. I waited about 30 minutes, but it closed for rain. 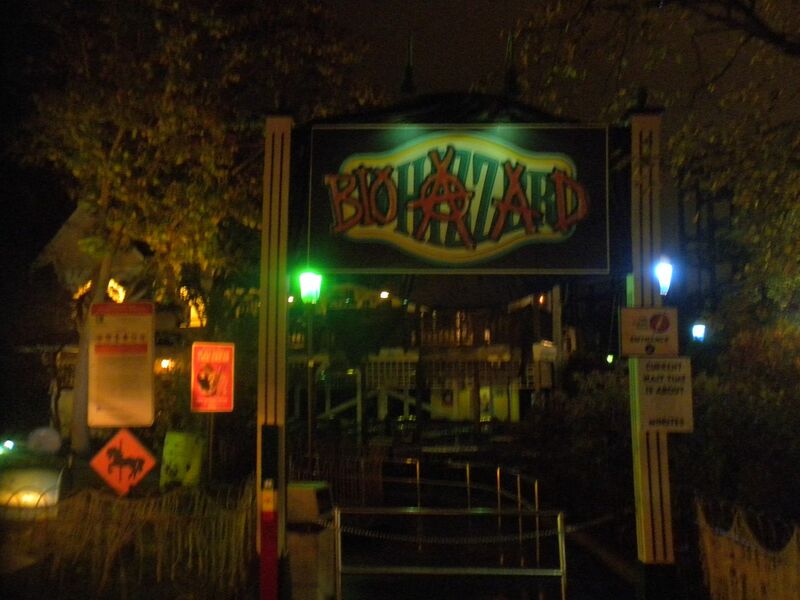 Knowing that Schwarzkopfs are temperamental with rain, I left the line but got to ride it later that night, when it was almost a walk on – 1 ride. 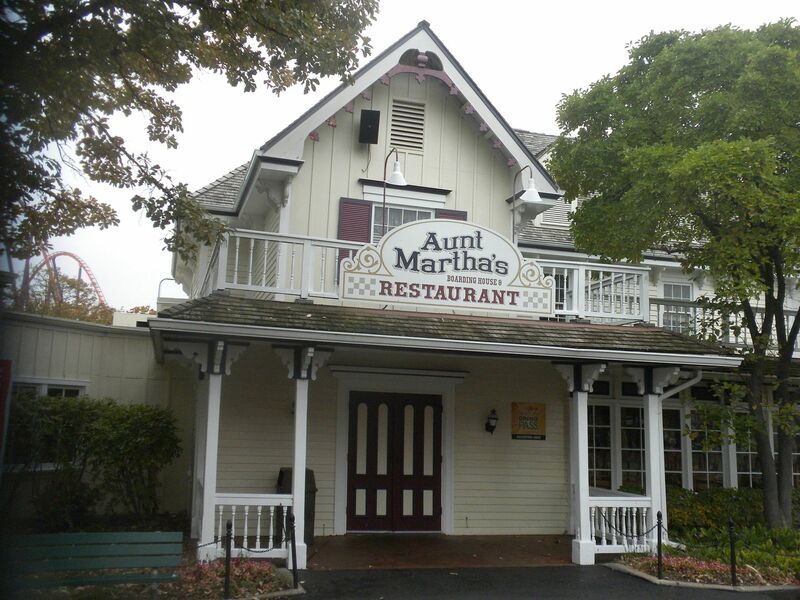 My only meal in the park was a delicious fried chicken meal at Aunt Martha’s Restaurant. It was late for lunch when I ate, it was a big meal and I was making little progress in getting things done, so I opted to forgo a later meal. Paying homage to the Pacific Northwest, this section has a rustic mountain theme. 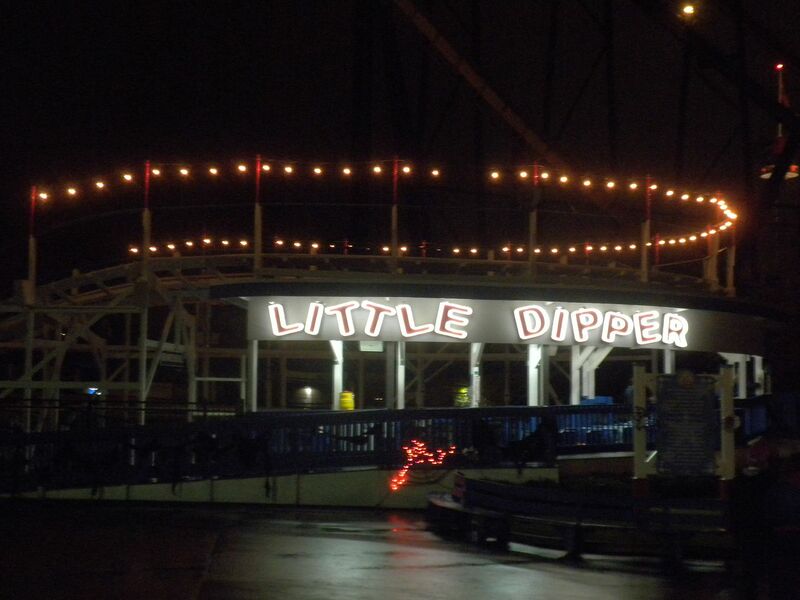 Relocated from Kiddieland, where it operated as Little Dipper, it is similar to several others built in the 1950s by both Herbert Schmeck, and by John Allen after him, this is a fun little coaster with small but good drops – 1 ride. This section provides the entry point for the park and is characterized by the large reflecting pool and two story Columbia Carousel. 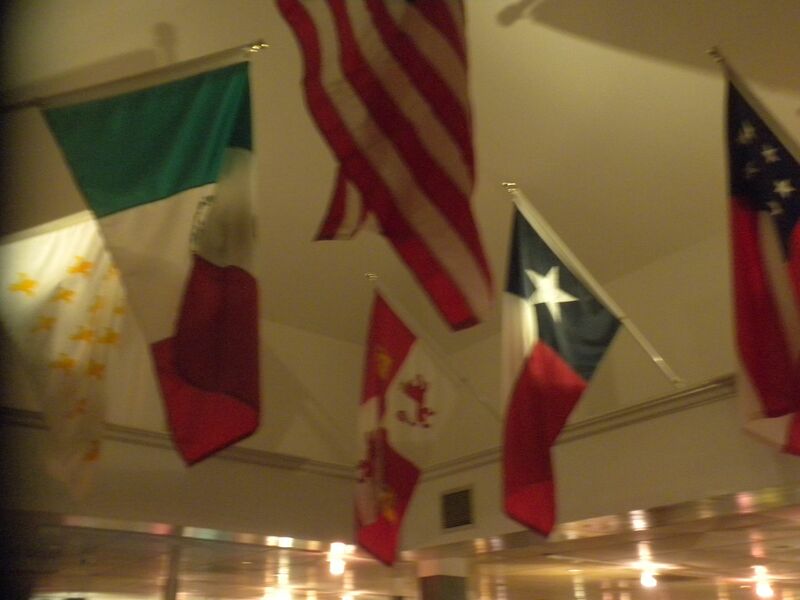 I had not previously noticed that the Flags store displays the six flags that flew over Texas. 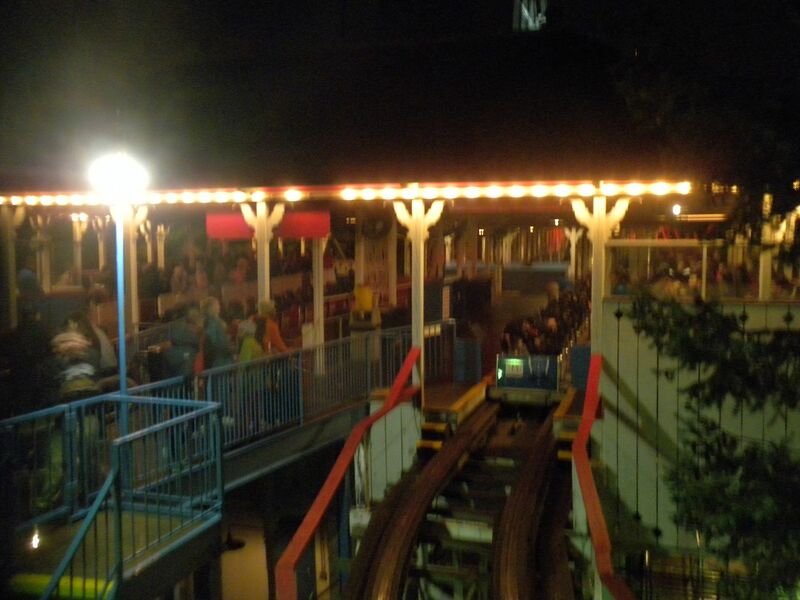 Although tightly packed with rides, this section still retains its New England feel. Most notably they resisted the urge to retheme it as Gotham City. 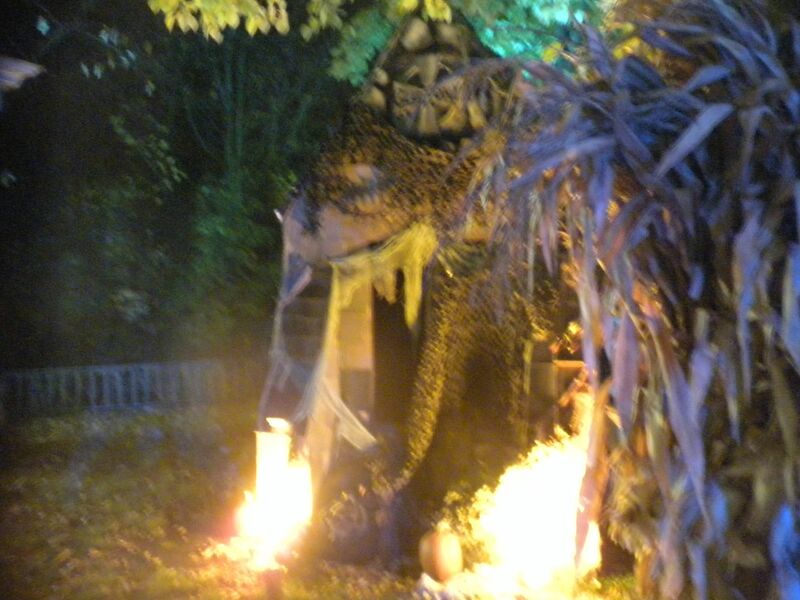 Originally part of Orleans Place, this was broken out into a separate section to create a Mardi Gras celebration. 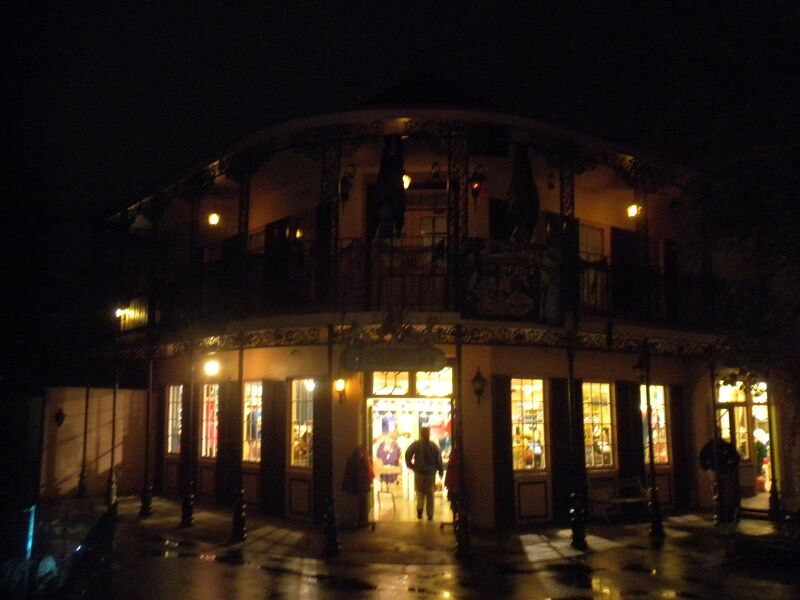 This New Orleans themed section’s architecture has been well preserved. The park also has a waterpark, Hurricane Harbor (Bermuda Triangle), accessible from Southwest Territory. 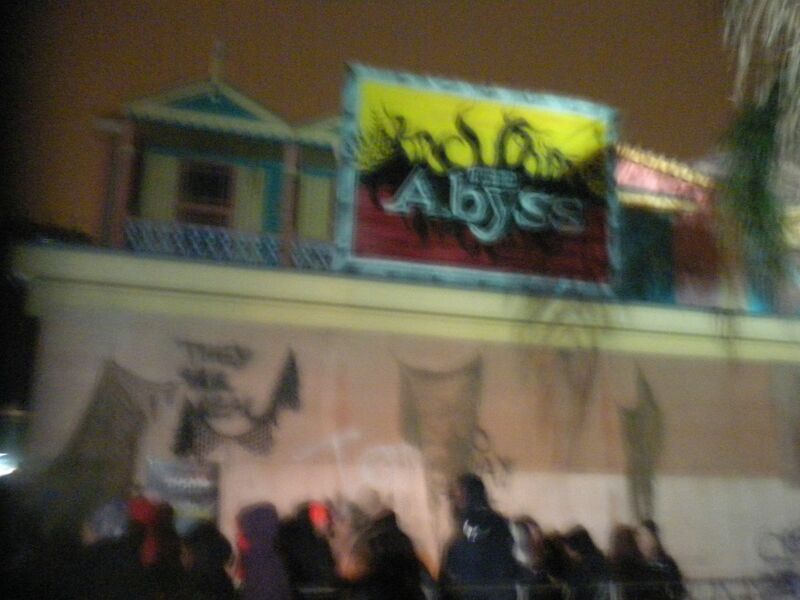 The park had 6 haunted houses and for only $10 extra you could get front of line access, which I opted to do in light of how my day was going. 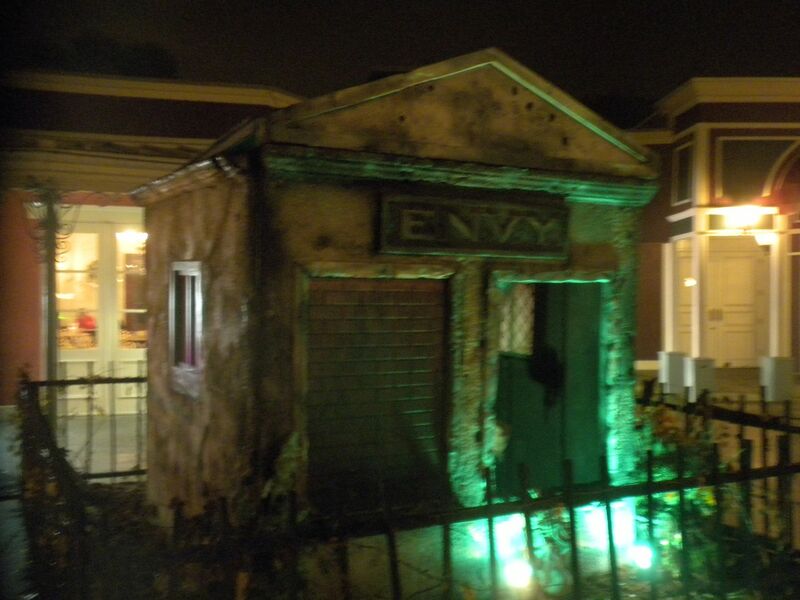 I will rank the Haunted Houses in order of my favorite. 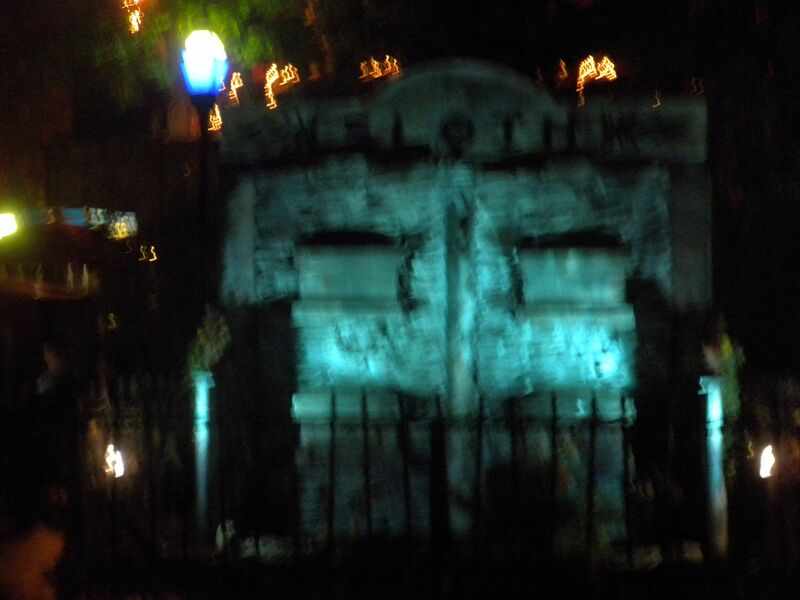 Mausoleum of Terror: Located in Necropolis, the former picnic grove turned into a city of the dead, this was very well done and fairly long with some good special effects – 1 walkthrough. 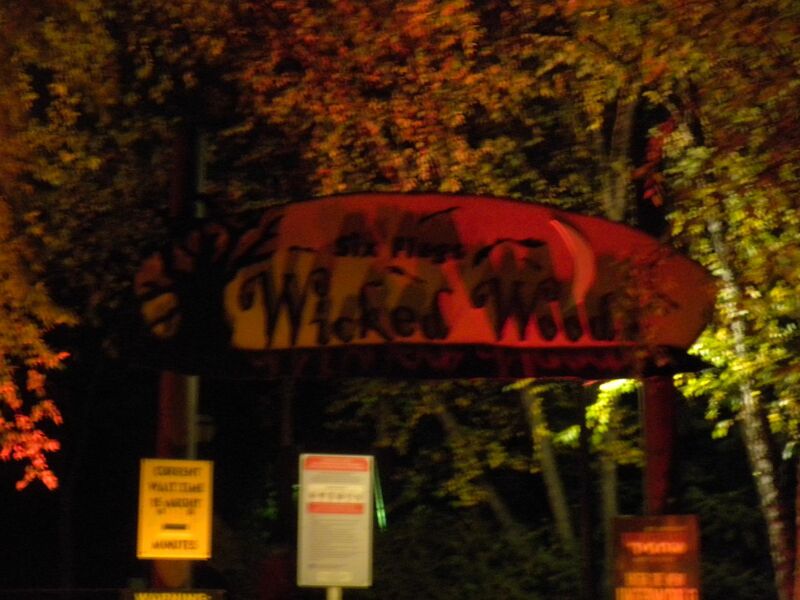 Wicked Woods: Located in Mardi Gras, this followed the entire route of the rapids ride as we walked inside the ride channel. It was very effective and the rain, which left small puddles along the way added to the effect – 1 walkthrough. 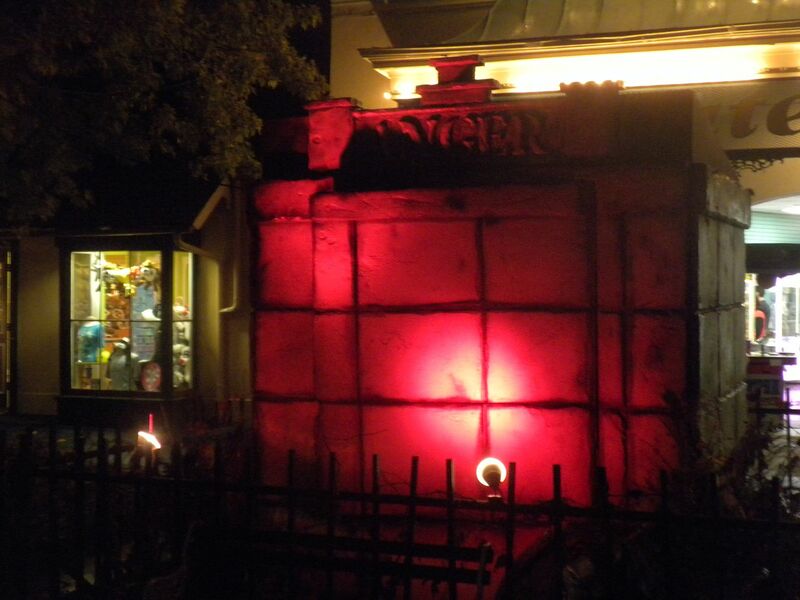 Massacre Medical Center: In County Fair this hospital themed haunt was nicely done – 1 walkthrough. 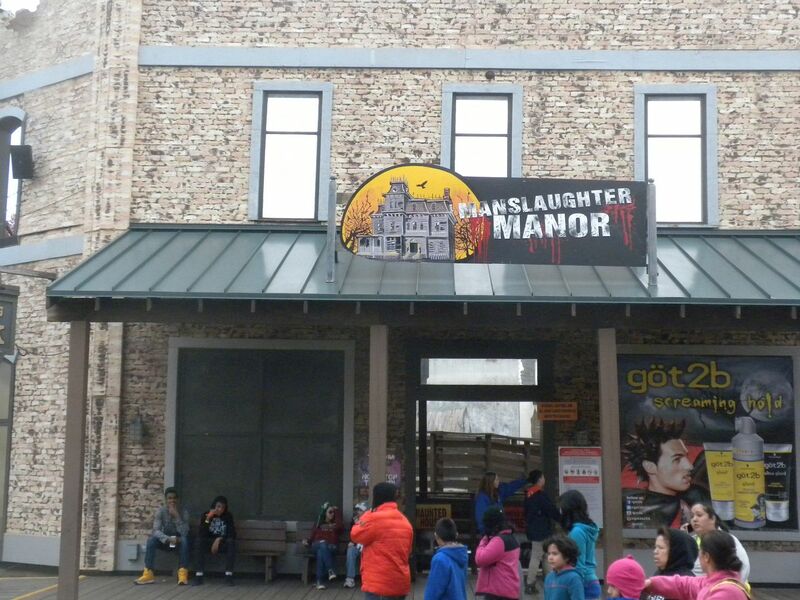 Manslaughter Manor: In Southwest Territory, this haunted house was nicely done – 1 walkthrough. 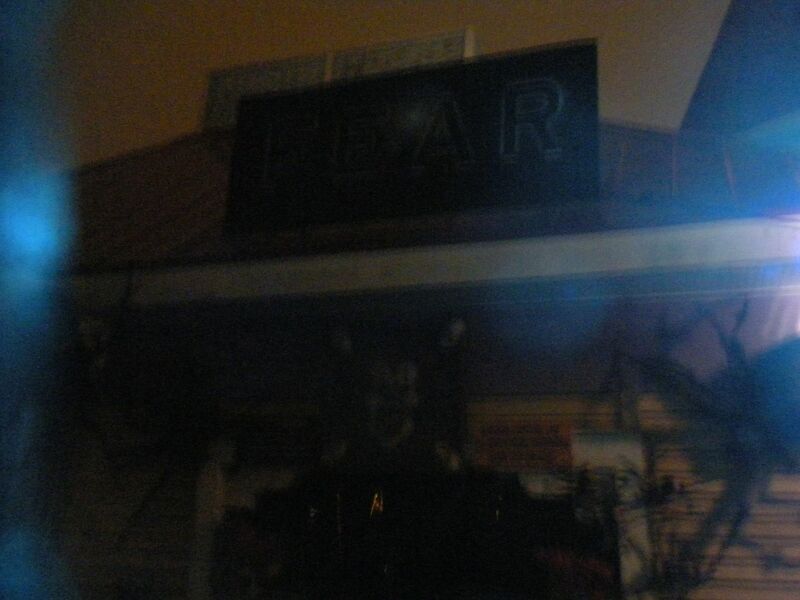 Fear: In Hurricane Harbor, this house was both weak and short – 1 walkthrough. 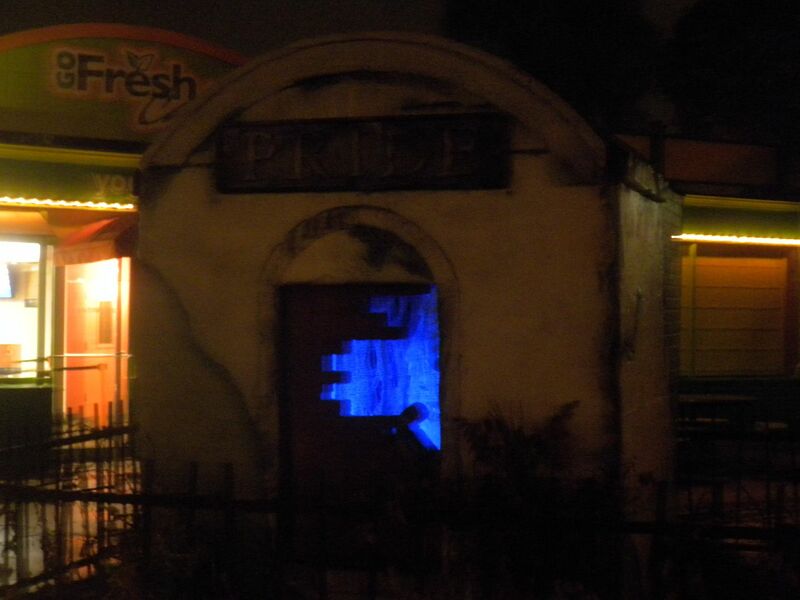 The Abyss: In Hurricane Harbor this was the weakest of the houses and was also very short – 1 walkthrough. They had several shows but I didn’t make it to any of them. Dead Man’s Party was at the top of my list to compare it to the excellent version at SFOG, but it is done outside, so it was canceled due to rain. I cannot imagine that it could have been good outside with a very unimpressive set. Other shows were Love at First Fright; Susan Rosen: Mistress of Mesmerism; Face 2 Face, The Uprising Parade; and Full Moon Rockplosion Closing Parade. 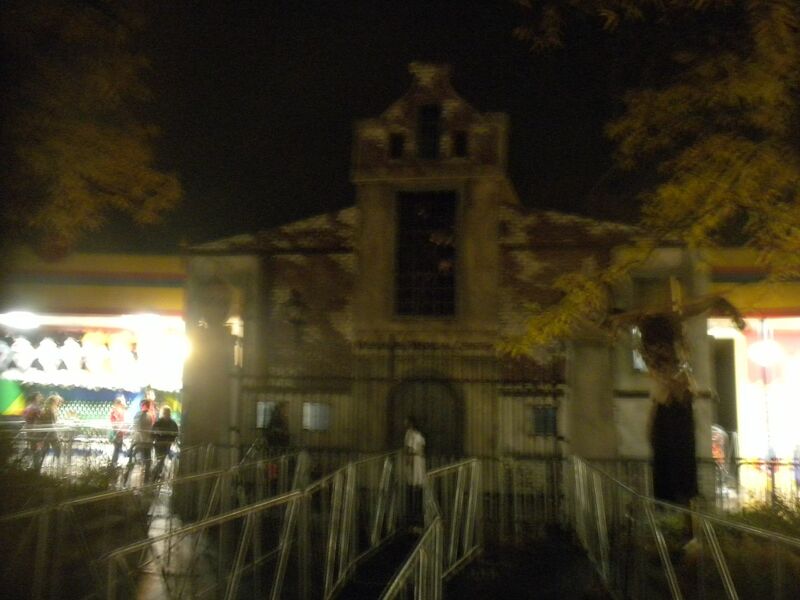 Purgatory Plaza: In Carousel Plaza with haunts from nightmares. and Pride. This was very well done. 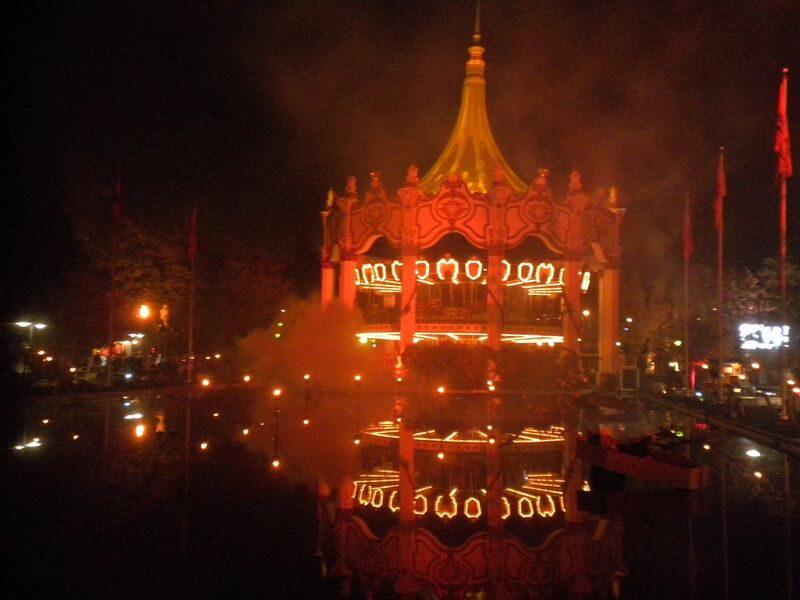 The Last Stop Circus: In Mardi Gras, themed to a haunted circus with lots of bizarre performers. 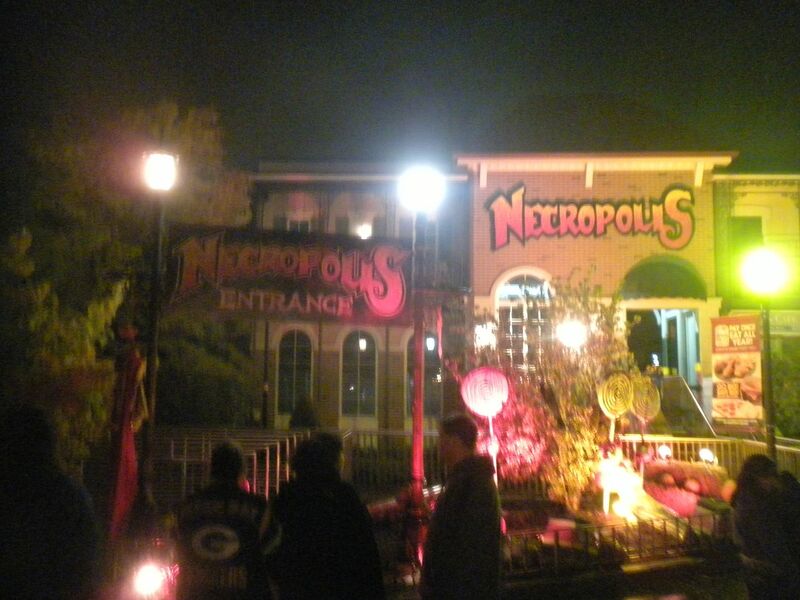 Necropolis: This was a long walking path through the picnic grove with several scenes themed to zombies. 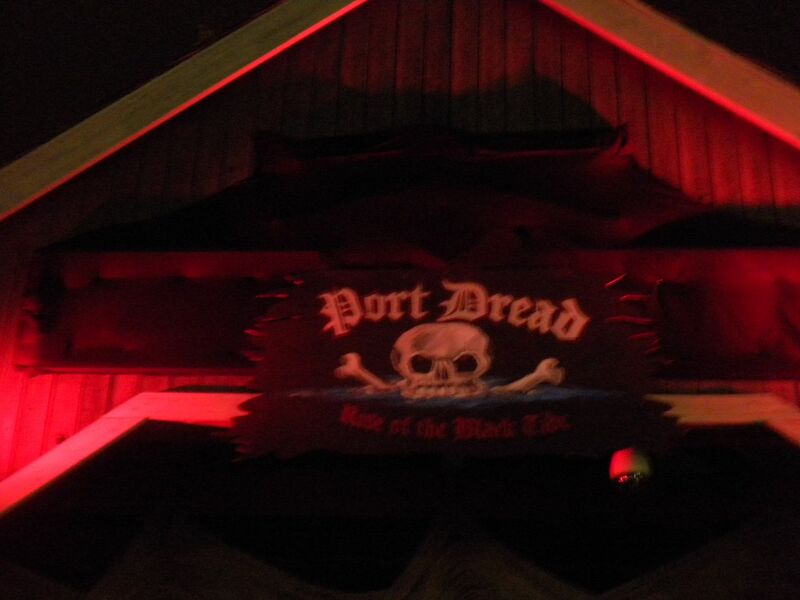 Port Dread: In Yankee Harbor themed to a haunted harbor town, although I didn’t see many scare actors. 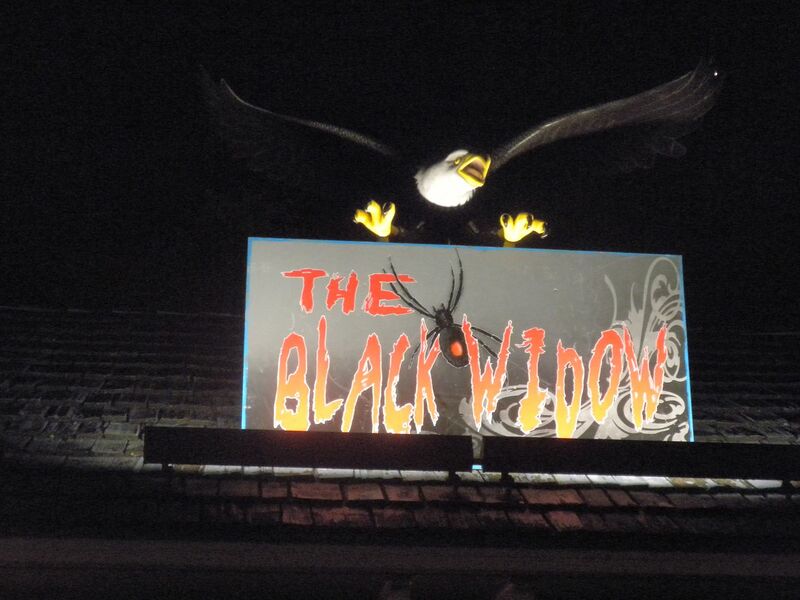 Deadwood Grove: In Yukon Territory themed to lumberjacks with chainsaws, which was effective. 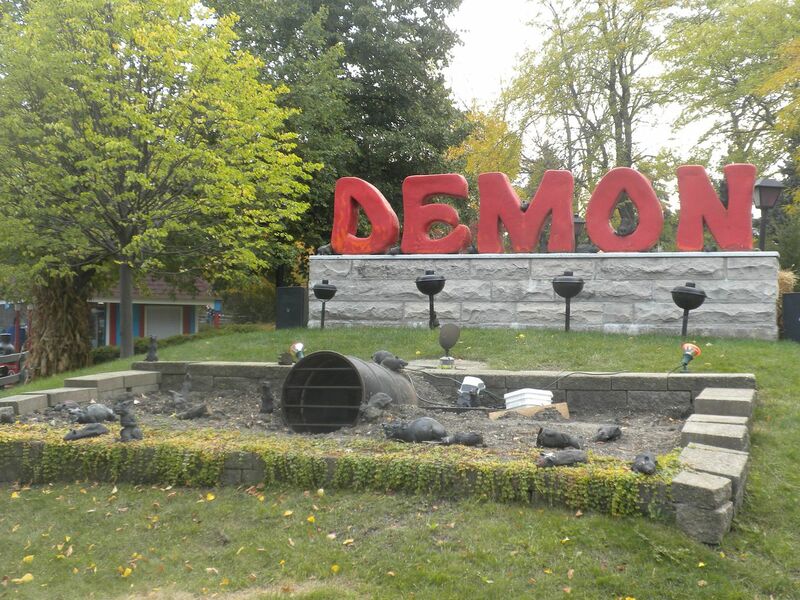 Hellsmouth: In County Fair, but I didn’t see much activity here. 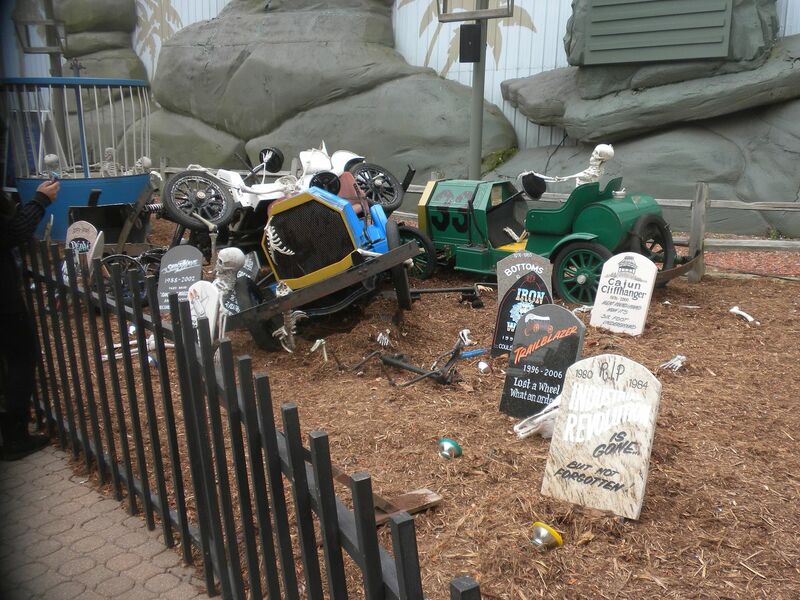 this cemetery section included a ride cemetery. Bermuda Triangle: In Hurricane Harbor, this was the trough of the lazy river. It was very long with good scares. 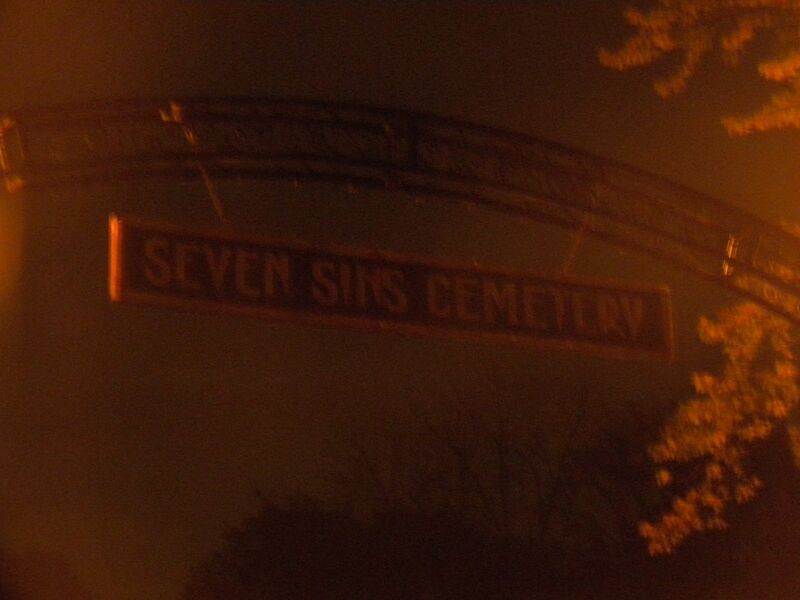 Sector 7: In Hometown Square this was themed to creatures infected with chemicals. 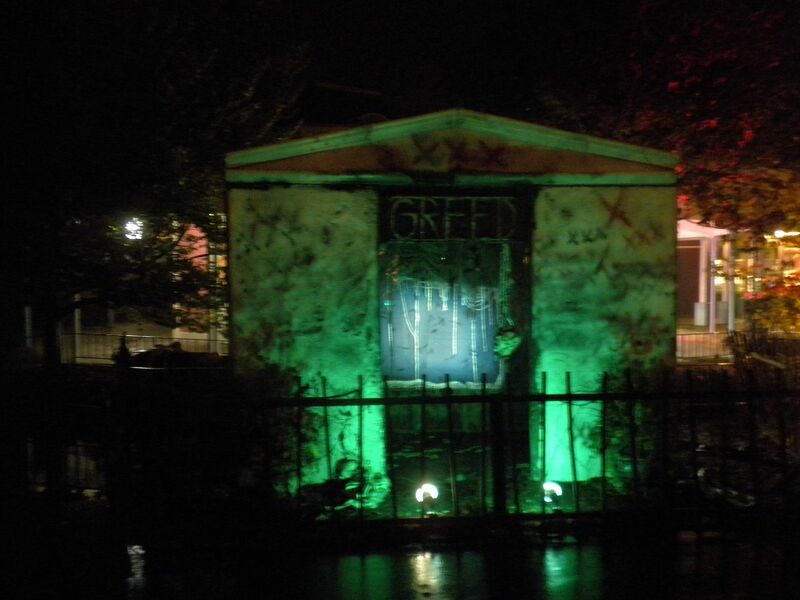 I would say the standout thing here was how immersive Fright Fest was, exemplified by scarezones in every section that match the section’s theme, the names and decorations on many rides and a couple of great haunts – Mausoleum of Terror and Wicked Woods. Also of note, they have quite a few shows, although I did not get to see them. I left at 1:00 Monday afternoon for the long drive back, stopping for the night and driving straight to work Tuesday morning. 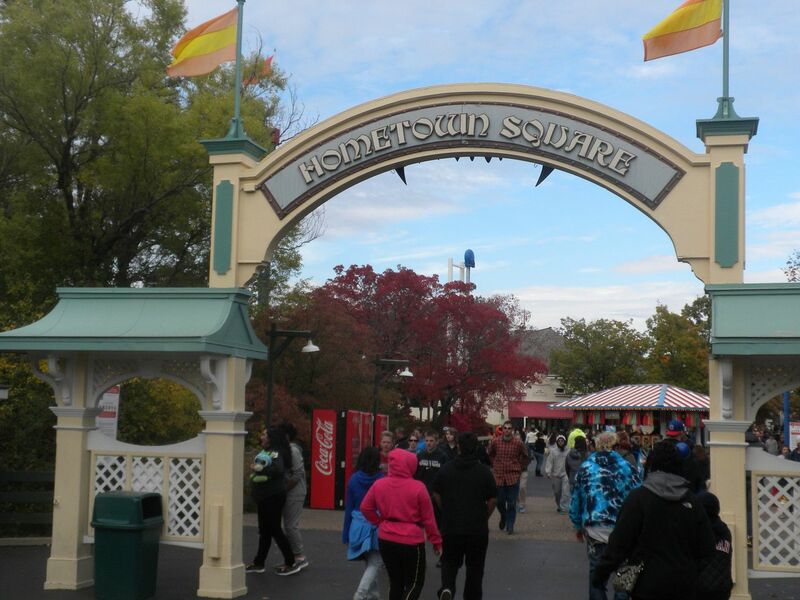 I had a good time at Six Flags Great America, but due to crowds I didn’t get to do as much as I would have liked. 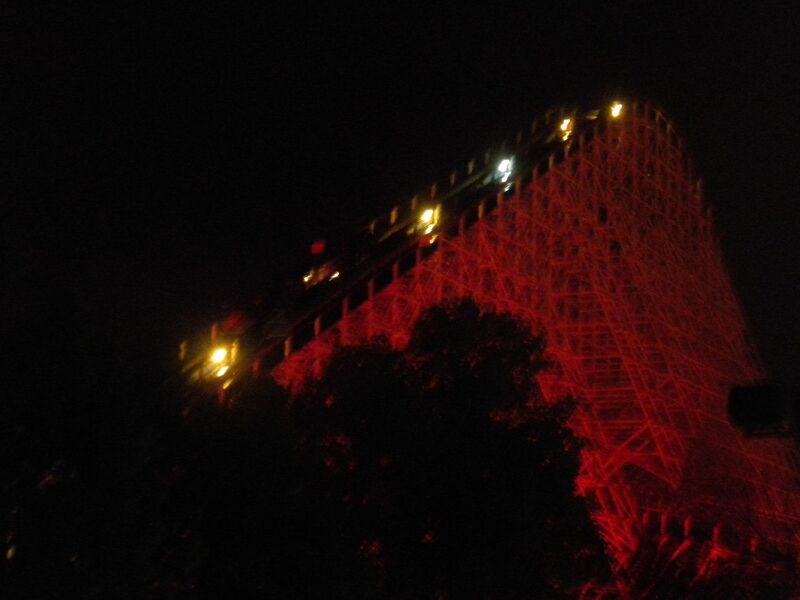 Still the whole trip was worth it to just to get to ride Goliath, one of the best wood coasters I’ve ridden. That completes all of my trip reports for this year. Until next year, thanks for reading! I’m glad you got to ride Goliath and the other rides. I’m sorry, though, that you didn’t get to see any shows. “Susan Rosen: Mistress of Mesmerism” is to this day my favorite-ever show at any amusement park. 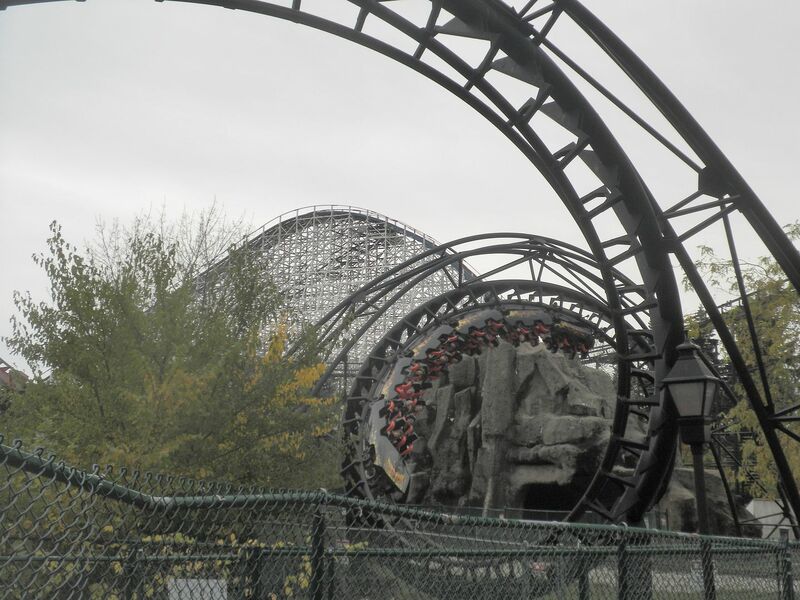 I would go to Six Flags Great Adventure every Halloween season when I lived in Wisconsin and Chicago just to see that show. I miss it! Thanks Vanessa. 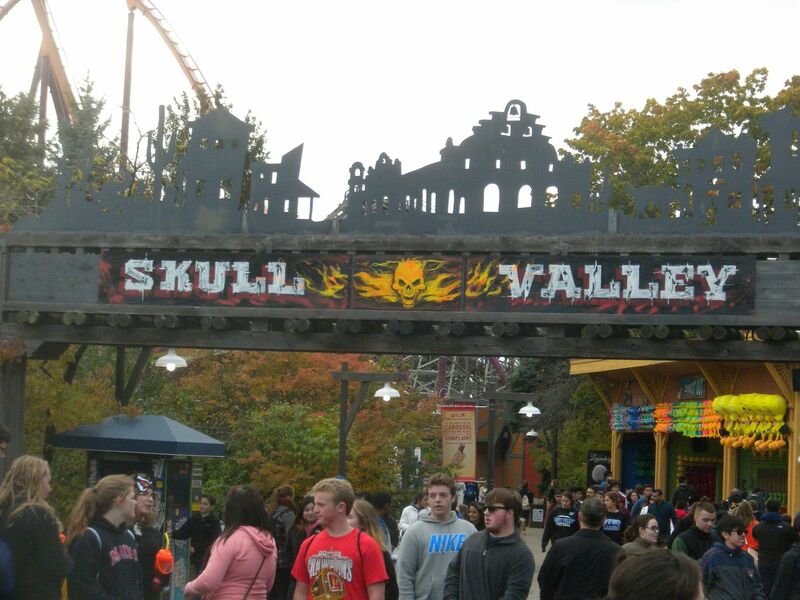 I would love to go back to SFGAm during Fright Fest when I could afford to spend more time. If I could have taken Tuesday off and spent all day Columbus Day there I would have gotten to do a lot. 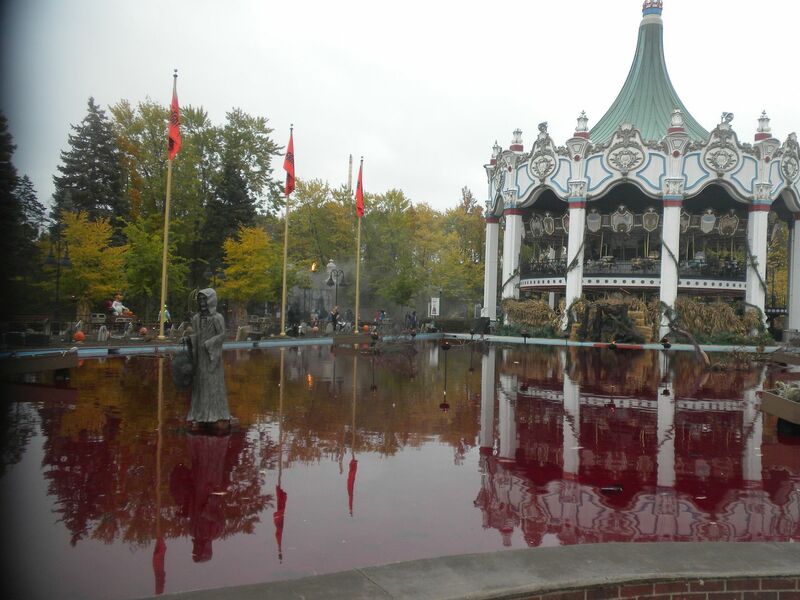 I’ll definitely plan time for the shows if I can make it back during Fright Fest one of these years.